One of the first words that may come to mind when you think of the word scrapbooking is probably: photos. However, do you have to have old family photos to create heritage scrapbooks? No. 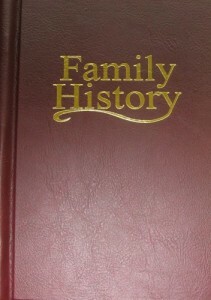 There are lots of ways to create a heritage family album with little or no photos at all. There are several things you may have, or can easily obtain to put together a scrapbook about your ancestors, or family history. First, try obtaining records for a person. 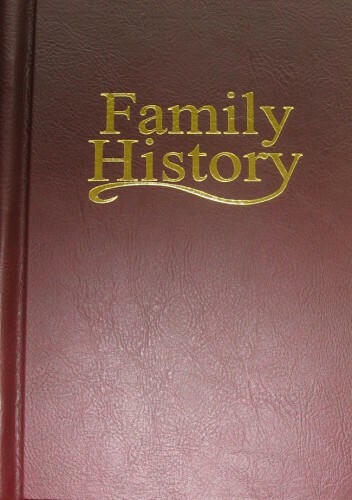 These records can include birth, marriage, baptism, or death records. Vital records are a great way to start. You can also work on obtaining census information. You can usually view historical census records online for free, and all you have to do is print a copy of those records to place in a scrapbook or album. Pretty easy. Military Memorabilia such as medals, records, places served, etc. All of these things can help your heritage scrapbook come together. Usually, you want to include a few photographs here and there, but it is not an absolute necessity for every page. So, how do you make a page without a photograph on it interesting? The most important thing to remember is never just put a document on a page with no explanation. The last thing you want is someone thumbing through an album and unable to figure out what something is. So, make sure to include journaling tags that can help you identify a document, or why a particular piece of paper has importance. Furthermore, you can use arrows to point out a signature, or other important part of a document on a page. Next to the arrow, you can include journaling or an explanation. Second, make sure and matte the document, or article, or map, in cardstock to help it stand out from the rest of the page. If your information is all about your ancestors from a certain country, like England, try looking for embellishments from that area. Many scrapbooking companies make themed embellishments specific to countries or regions. You can make a scrapbook fun and interesting even without photos. The key is to try and make things look more interesting than a piece of paper on a scrapbook page. That way, your viewer will want to know more.